Our new single “Dock Ellis” is now streaming at https://doesin.bandcamp.com! 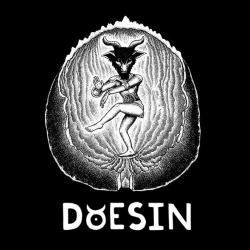 Check it out and preorder the Doesin/Spacewaster 7″ vinyl split today! New high-quality live videos from our recent show at The Drunken Unicorn are up now, courtesy of legendary photographer Joseph “Joey” Hazan! Awwwww yeah. After our recent Practice Space Session with Smallanta, they sat us down to ask us a few questions. Needless to say, things got a little weird. Watch the interview now and stay tuned for the live video of “Cactus Practice” next week! Spend April Fool’s Day with us and some other local favorites!